Bollywoo: Bollywood: A Briefly Timed History! 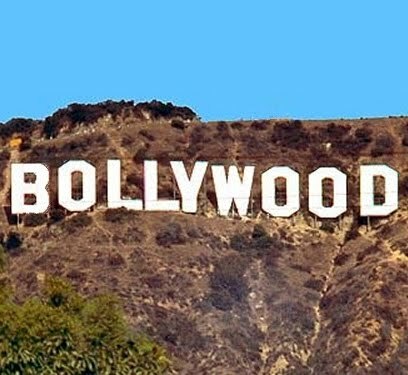 Film business being as bad as it's been the last two years, let's have a look at some factors that are behind the success and failure of films in Bollywood. Today, most films do 80% of their business in the first weekend. Gone are the days of Golden and Silver jubilees. Films nowadays find it hard to survive beyond the first week. 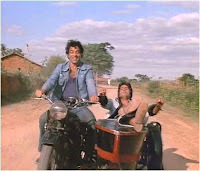 Even successful films like 3 Idiots, Dabangg and Ghajini have a hard time getting past 8 weeks in theatrical release. Perhaps it’s time to change week 4 and week 8 to silver and golden jubilees, respectively. 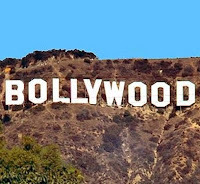 After officially being declared an industry by the government in 1998, Bollywood went through a drastic change. In 1998, the maximum budget for a film was about 10-15 crore rupees and one or sometimes two films were released each week. The highest salaried stars were paid between 1-2 crores, a large sum even by today's standards. Though being an official industry was good news, the business started to suffer as producers no longer had access to mafia money or black money; being a government recognized industry meant following legal channels. The business was becoming very transparent, which was not the case earlier. Mafia money was no longer welcomed causing some of the top producers/directors of the era, who couldn't embrace the new format, to simply fade away or retire (Manoj Kumar, Dev Anand, Prakash Mehra, Rajiv Rai, Rajkumar Kohli, Govind Nihalani, Umesh Mehra, Deepak Bahry, etc.). Those who survived (Yash Chopra, Mahesh Bhatt, Vidhu Vinod Chopra, Subhash Ghai, Ramesh Sippy, Sooraj Barjatya, Sajid Nadiadwala, Ram Gopal Varma, Rakesh Roshan, etc.) took time to recover, but bounced back and took control of the suffering industry. Several of these survivors saw an opportunity in going public and successfully incorporated their production houses. As had happened to Hollywood in the 1960s, the generation of Bollywood filmmakers was changing and the torch was being passed. The end of the 1990s saw some new blood enter the industry (Aditya Chopra, Karan Johar, Ronnie Screwvala, Sanjay Leela Bhansali, Ashutosh Gowarikar, Vipul Shah, Dhillin Mehta, Ekta Kapoor, etc.). 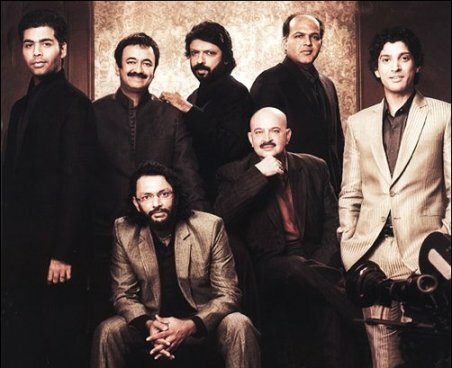 With the mafia out and public funds in their hands, these young filmmakers decided to take Bollywood in a new direction and started producing multiple films and launching new directors (Farah Khan, Farhan Akhtar, Rajkumar Hirani, Anurag Kashyap, Anurag Basu, Nikhil Advani, Kunal Kohli, Shaad Ali, Imtiaz Ali, Rohit Shetty, Rohan Sippy, etc.). In the new millennium, those who dominated the industry in the 1980s and 90s (Dharmendra, Rishi Kapoor, Sridevi, Madhuri Dixit, Karishma Kapoor, Manisha Koirala, Sunny Deol, Raveena Tandon, Nana Patekar, Pooja Bhatt, Amrita Singh, Meenakshi Sheeshadri, Kishore Kumar, R.D. Burman, Majrooh Sultanpuri, Laxmikant-Pyarelal, Anand Bakshi, Lata Mangeshkar, Asha Bhosle, Kalyanji-Anandji, etc.) were replaced by a new breed of actors (Hrithik Roshan, Aishwarya Rai, Kareena Kapoor, Katrina Kaif, Abhishek Bachchan, Shahid Kapur, Priyanka Chopra, Ranbir Kapoor, Deepika Padukone, Sonam Kapoor, etc.) and artists (A.R. 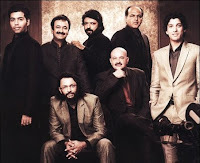 Rahman, Shankar–Ehsaan–Loy, Vaibhavi Merchant, Sajid-Wajid, Salim-Suleiman, Vishal-Shekhar, Shaan, Sunidhi Chauhan, Kunal Ganjawala, Kailash Kher, Shreya Ghoshal, etc.). Some did survive the 1990s and are still going strong (Amitabh Bachchan, Anil Kapoor, Shahrukh Khan, Kajol, Salman Khan, Sanjay Dutt, Aamir Khan, Ajay Devgan, Akshay Kumar, Sonu Nigam, Juhi Chawala, Javed Akhtar, Gulzar, Anu Malik, etc.). 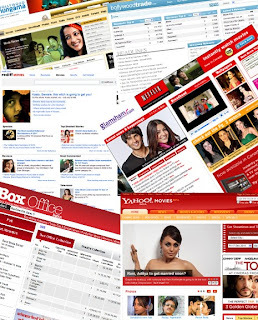 In the late 1990s, television boomed in India and now the industry faced its biggest challenge. How to get the audience into the theaters when they could get similar entertainment at home for FREE? Approximately 5-6 years ago, after the sudden success of several films, corporate giants like Reliance, Aditya Birla Group, Tata, Sahara, Percept Holdings, Adlabs, Eros, UTV and T-Series noticed the impact of Bollywood films and decided they wanted a piece of the pie. In order to entice the top stars and filmmakers to work with them they started offering ridiculous amounts like 10-15 crores per film to stars who were earning 2 crores at the time. I know gasoline prices are going up but, stars don't need to make 10 crores per film and directors like Sanjay Leela Bhansali have no right to charge 27 crores when their previous films haven't worked at the box office. The corporates were used to dealing in millions, for them 10 crores was pocket change. Their philosophy impacted the film world drastically. Film budgets skyrocketed from 10 crores to 100 crores even though no film in history had ever had collections of 100 crores. Their strategy was to go big. They believed films were a brand and like any brand if you have a great marketing strategy people will buy it! Sadly, this would be their downfall - selling soap and selling films are two entirely different things. With corporates also came the birth of multiplexes, single screens were quickly becoming a thing of the past. Audience once again had a reason to flock to the theaters. These new multi-screen theaters were the new fad and at first no one minded paying 200 rupees per ticket, but over time this too would fade away. With 10 screens and up to 40 shows a day in one multiplex, corporates strategized a wider release for their films. No more houseful boards – “get the public into as many seats as possible in the first week and recover the cost” – was the new mantra. Forget golden jubilees it was the first weekend that mattered now. Ten years ago one or two films would release each week in single screen theaters with a control on the number of prints. Houseful boards could be seen week after week and the exhibitors would have a hard time taking down a successful film. But, with corporates coming in, all that went out the window. They started the trend where 1500-2000 prints of a film were released. No longer did anyone have to face houseful boards, with multiplexes, the audience had to pay a little more but they were almost guaranteed a seat and not just any seat, they’re the most comfortable seats in the world. Due to the success of multiplexes, a big change came about, instead of 1 or two films per week, now anywhere from 2-6 films were being released week after week. Bollywood was now running like a business, but they were turning out more films than the audience demanded. Films that the makers spent 3-4 years to write and shoot were now being shelled out in a matter of weeks or months. Directors turned producers and as producers they started making multiple films yearly, not able to concentrate on each film fully, the films began to suffer. The stories lacked impact and entertainment value but the audience was still flocking to the multiplex on sheer curiosity. But the new format lacked star power, films were being sold as a brand and their success or failure no longer rested on the star’s shoulders. Distributors were given the film only after the production house got their money. The distributor had no idea if the film they’d purchased is good or bad. They were paying for the brand. It became difficult for independent producers to survive in the corporate market. Stars joined hands with corporates and charged a mammoth fee, thus, it became impossible for independent producers to approach them. Distributors were happy to deal with corporates and showed little interest in low budget films. It’s a fact that, in Bollywood, it was now easier to get 40, 50 and even 100 crores to make a film with super stars than to get 4 or 5 crores to make a film with newcomers or more affordable stars. Even for experienced filmmakers like Priyadarshan, helming a small budget film seemed impossible. The fate of the films at the box office no longer matter corporates had public money to throw at films, budget and brand power were now taking precedence over talent and good stories as selling points. Although a 5-10 crore film could yield 30-40 crores in profits, the corporates were happy with 50 crore films yielding 5 crores in profit. To them filmmaking was more a hobby than a labour of love. The next four years saw several hit films each year. Still no film had crossed the 100 crore mark in collections, but the corporates thought they had found the golden goose and invested heavily with budgets in the 100-150 crores range. The year 2009 had a horrible start, during the first three months there were no hits in sight, every big budget film failed to click at the box office. Producers/distributors were trying to negotiate a new deal with the multiplex owners. Then, in April, the producers/distributors went on strike for more than two months. The producers/distributors' demand was for a 50 per cent share of revenue earned from their films. 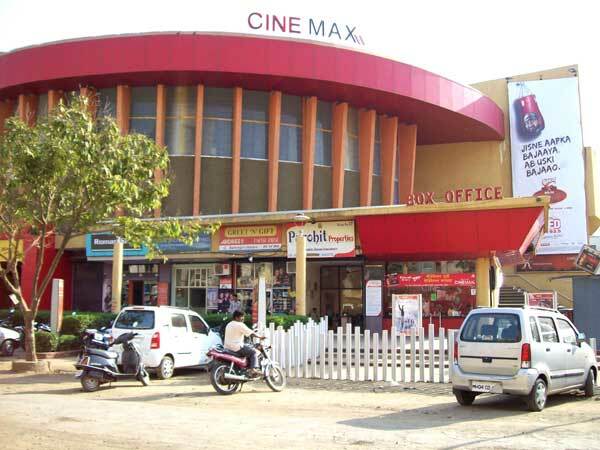 But multiplex owners were unwilling to give up their current cut, which could be as high as 60 per cent. Suddenly, thanks to the media, the public saw a side of bollywood it wasn’t aware of... GREED. With no end in sight for the strike, the audience discovered a new means of entertainment. The Indian Premiere League (IPL) had quickly caught on as the new phenomenon. Cricket was the perfect craze to replace Bollywood mania. It would be more than two months before the strike ended. Only small budget films were released at single screens during that time, denying the cine goers entertainment during the summer vacations. The future looked bleak, big films like Delhi 6, Chandni Chowk To China and Luck By Chance had already failed to create box office magic in the first quarter. And the failure of mega budget films like Kambakht Ishq, Aladin, Blue, What's Your Raashee?, De Dana Dan and London Dreams in the second half only added to an already dull 2009. Finally, some relief was felt when, 3 idiots, the final release of the year went on to become the highest grossing film in history – becoming the first Bollywood film to cross 150 crores in collections and only the 2nd film, after Ghajini in 2008, to cross 100 crores in collections. The birth of reality TV was another challenge now facing Bollywood. 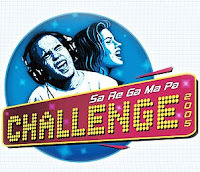 With shows like Channel V Popstars, SaReGaMaPa Challenge, STAR Voice of India and Indian Idol dominating the TV screens, top music directors and singers had the opportunity to become judges. They were receiving ridiculous sums of money to appear on these shows many folds higher than what they received from films. Because of these shows, their time was divided between films and Television. The end result was; out went the creativity ‘cause we’re into money. So now, films had bad scripts and lousy music. The one thing that has always drawn an audience into the theaters is the music of a film. Even with horrible stories in the 1980s and 90s the one ingredient that was consistent with each film was the music was always super hit. Today, this is not the case. No matter how good the reports of the film are, if a film has lousy music, the promos don't work and people are not as eager to see it and the branding fails. Guzaarish and Band Baaja Baraat are recent examples of this. In the past, media wasn't so involved with the release of films and computers didn’t play a role. It took several days for information about collections and the film’s report to reach the audience, so a film had a chance to be seen. Nowadays, with twitter, facebook, SMS and smart phones, moments after the film is released its reports and reviews are available all over the internet and in trade publications/websites. People can tweet or SMS their friends about a film from the cinema hall itself. Before a film has a chance to breathe its first breath, it's declared a flop and it's dismal collections are the talk of the day. “Better luck next week” says the trade analyst to the exhibitors. But next week it's the same story. If we're lucky there are just about 2-3 films worthy of being watched each year. Most people are not made of money, they have a certain entertainment budget. A common man might only be able to take his family to see 1 or 2 films a year. He will be selective and likely watch an entertainer like Golmaal 3 over a depressing over budgeted film like Guzaarish. Every time he goes to a multiplex with his family it's costing him 1000 rupees, it's not likely he will go too many times, especially when the film can be seen on TV for FREE in two months. So, he waits and selects maybe the one or two films he thinks his family will enjoy the most. Satellite rights have also caused a fall in the theatrical business. 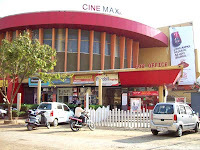 With a multiplex movie ticket costing anywhere from 150 to 500 rupees per ticket it is becoming very difficult for the common man to take his family to the movies. He would rather wait till the film airs on TV and enjoy it with his family for FREE. The big screen big sound doesn't interest him when he can save 1000 rupees and watch the film in the comfort of his own home, did I mention, "for FREE". 2010 has been one of the worst years in the history of Bollywood. It is hard to pinpoint exactly why the audience stayed away from the theaters. The reports suggest “lack of good stories” tops the list. With only 3 films worthy of being declared hits, 2010 will mark a turning point in the way corporates conduct business. With the failure of films like My Name Is Khan, Kites and Raavan which cost 100 crore or more, the corporates have decided to stay away from such big budgets. 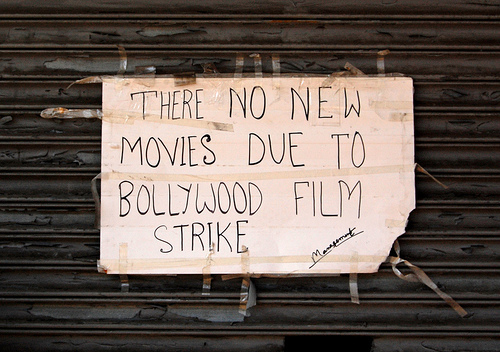 Several films have been put on hold while others have had their budgets slashed to accommodate the current condition. It’s hard to determine if we will ever see films with 100 crores budget, but at present it is highly unlikely. These are just some of the factors that truly determine the fate of a film. Many other factors come into play and make it difficult to truly judge what has caused a film to fail. It's usually not just one factor but a combination of these that decide how successful or unsuccessful a film will be. One thing is certain, films don’t work as brands. The focus needs to re-shift to the superstars. It’s the superstars who can get the audience into cinema halls not marketing teams. 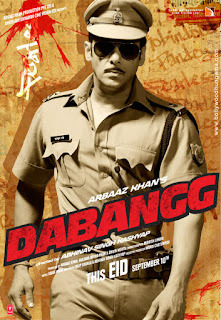 Dabangg was seen by millions because of Salman Khan not because it was a brand. Salman’s performance was being appreciated from the promos themselves. It created a buzz which is why the film worked. For decades films have worked because of the ability of its superstar to carry the film on their shoulders, when you take that away, it not only hurts its sustainability, but also detaches it from its soul.